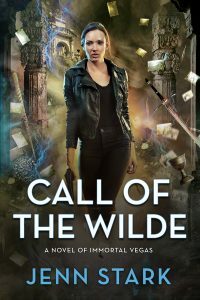 Still recovering from an explosive family get-together, Tarot-reading mistress of the House of Swords Sara Wilde isn’t ready to return to the war on magic. Then the Magician of the Arcana Council uses her to summon an ancient Greek deity for his own devious purposes, and Sara’s suddenly up to her elbows in oversized egos and millennia-old conflicts. Conflicts that imperil the delicate balance of power between the most formidable mortals on earth and the gods who wait beyond the veil. Better pray it’s a wrong number when you get the Call of the Wilde.